Published 12 times yearly, it is read by over 30,000 readers nationally each month! 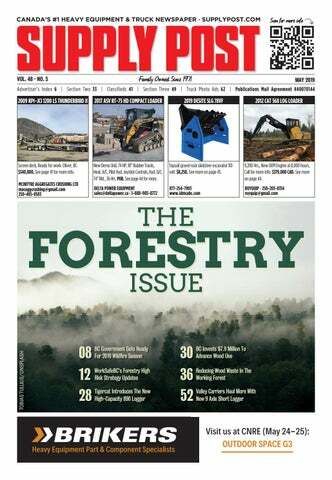 Advertise your heavy equipment in print or online! Click the button below for details and pricing. Advertise with the Supply Post. Request a media kit or chat with our industry experienced sales team and they will find a program that suits you! Receive the latest industry news, featured equipment & truck listings, digital editions, and deadline reminders right to your inbox. See it first, before the newspaper prints and hits the shelves. Log in to update your online listings.